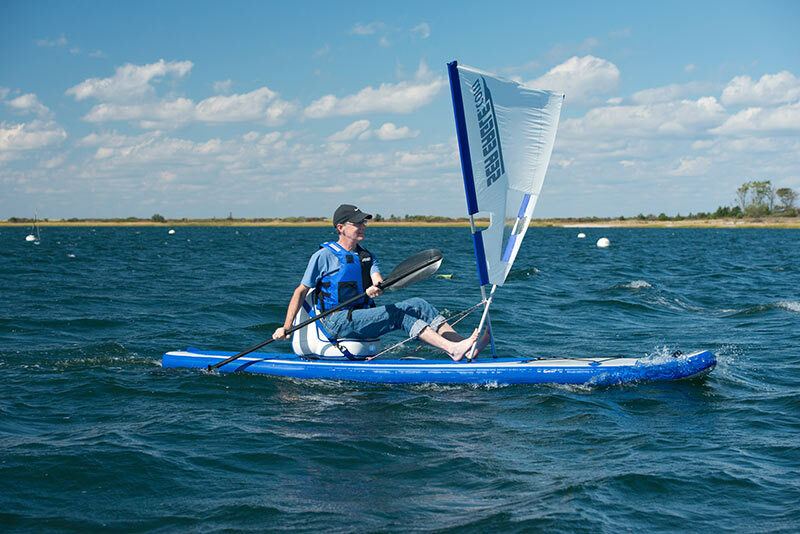 Port Jefferson, NY: Sea Eagle Boats, Inc. has introduced the newly redesigned LongBoard™ Hybrid Stand Up Paddle Board series. 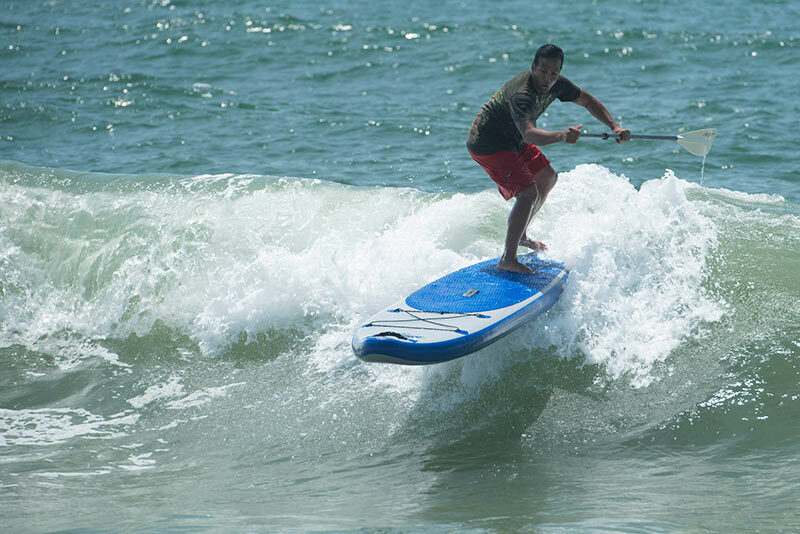 Sea Eagle’s® popular 11′ LongBoard™ LB11 has been joined by the brand new 12’6” LongBoard™ LB126. Both are now 6” thick and 30” wide for superior stability. The LongBoards™ also feature a 4” nose rocker for easy entry, a 2” tail rocker for high performance maneuvers, a continuous rocker throughout to prevent nose diving and a custom performance kick tail to assist with blind foot placement. The full length, diamond cut, EVA foam deck pad provides excellent traction and maximum foot comfort. Fully constructed of 1000 denier reinforced PVC, 6” drop stitch material with quadruple overlapping seams that inflates up to 15psi, the LongBoard™ provides exceptional rigidity for paddlers up to 250 pounds. The lightweight LongBoard™ SUPs can be packed in their own backpack for easy portability and storage. No more renting a board while on vacation or struggling to tie it to the top of your car or SUV – check the LB11 or LB126 as lightweight luggage, throw it in the trunk of any car, store it in a closet, hike to that remote lake with the board nicely folded in its backpack. Stand up, sit down, surf, tour, practice yoga…the LongBoard™ Hybrid SUP series is perfect for whatever you want to do. Sea Eagle’s® LB11 weighs only 22 lbs, measures 11’x30”x6” and the LB126 weighs just 25 lbs and measures 12’6”x30”x6”. Three packages available for each model. Suggested retail $949-1299.